An EBF Novices Fillies' Stakes over 5f 161y on good going. This Plus 10 race added with decent prize money means the winner takes over £15,000. A few interesting two-year-olds taking part here and there may be a speculative bet which could hit the frame at 33/1+. To be fair the favourite Seed Corn, trained by Wiliam Haggas, looks a real hard nut to crack. This bay filly is a daughter of Exceed And Excel is out of a very talented mare who won three times for John Dunlop, twice at Group 3, and far from disgraced at Group 1. Seed Corn was well backed on her debut at Great Yarmouth and it seems the course tempted a few talents to make their first meeting of the season something to remember with a hot maiden. 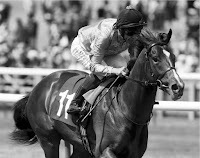 In fact, the winner, Ardad, trained by John Gosden, won the Windsor Castle Listed race at Royal Ascot on his second start in comfortable fashion. I know for a fact that the third, fourth and fifth horses are all held in some regard. The fifth-placed, Miss Rosina, had winning form, although carrying a penalty, but make no mistake that race will detail many future winners. I imagine connections of Seed Corn were surprised she didn't taste victory. However, she wasn't given a hard time to take an easy second and it spoke well for a filly to give talented colts something to think about. It is worth noting that she has an entry to run at Newmarket on Saturday at Listed class and it is clear Nicholas Jones [owner] fancies this will be an easier alternative. I have little doubt she will be racing at pattern class sooner than later and if those ambitions are to be achieved this should be a formality. Take a look at the horse racing odds at William Hill because we have a big, big priced outsider which may be worth a bet alongside this favourite. There are a couple of fair types in opposition with form. 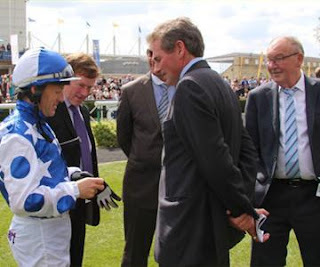 Lexington Sky won last time out when defying one of Haggas' odds-on shots. Richard Hannon's charge is ridden by an apprentice to try and negate the penalty. One thing I would say about this daughter of Iffraaj, she is a good-looking filly with plenty of size and scope. This bay filly dwarfed Haggas' Naafer at Lingfield and she may try to boss a few of these from a low draw if taking the lead as she did last time out. Turanga Leela is a professional juvenile who done little wrong last time at this course over 5f on firm ground. She raced against Lexington Sky on debut over 6f and I doubt there will be much between the pair. Madam Bounty is another who must be held in some regard by connections. This daughter of Bahamian Bounty is a good-looking filly who made her debut at Sandown. That was a sign of confidence and although a 25/1 shot she showed good pace - if not too much - when up with the lead until tiring in the closing stages. Ed Walker's charge wasn't disgraced when behind subsequent Albany Stakes Group 3 runner-up Bletchley. This step up to 6f shouldn't pose a problem and if allowed to bowl along could touch shorter odds in running. To the outsider which may just surprise a few of these is Keeper's Choice. She isn't best drawn in stall nine and this daughter of Intikhab didn't cost a lot of money, This 14,000G yearling was purchased by the trainer. This chestnut filly is guaranteed to be huge odds simply because this is a competitive heat and the fact that Denis Coakley [pictured] is a less fashionable trainer and has a small string of two-year-olds. So why could this April foal have a claim? Coakley has a very good record when he races two-year-old debutantes at this track.Very good! I must admit this looks a tall order for a debutante to beat the likes of Seed Corn but she may have place claims and may be backed so take advantage if huge odds on the exchanges with regard to a decent no-lose bet. I would suggest rather than an each-way bet you back the favourite to win and Keeper's Choice to be placed. Interesting race on a number fo levels.